Everyone knows that I’m an eco-friendly geek and that I love taking previously used items and giving them a new lease on life. 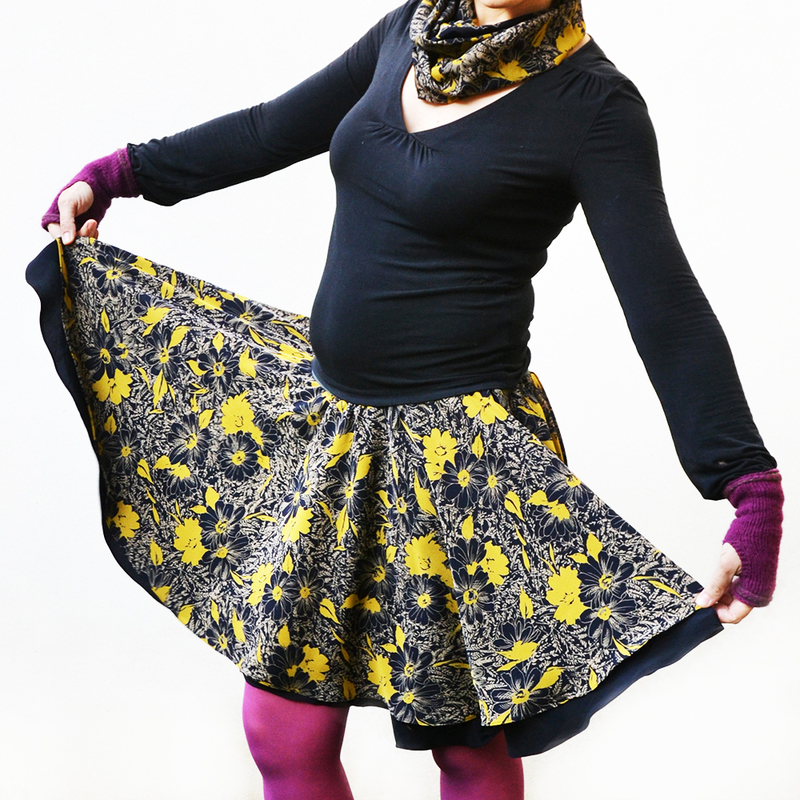 And being a sewing geek as well means that I refashion and in general repurpose sewn items as much as I can. This is great because by doing this I save money by not buying new fabric (for those of you who don’t sew, fabric is usually not cheap) and I help the environment by using something unused and thus saving it from the landfill AND avoiding having to buy a new product, with all the environmental harm that it implies. But there’s another cool thing about repurposing fabric: you can sometimes reuse parts of the original sewn item to your advantage. Refashioning is like a big brainteaser to me. 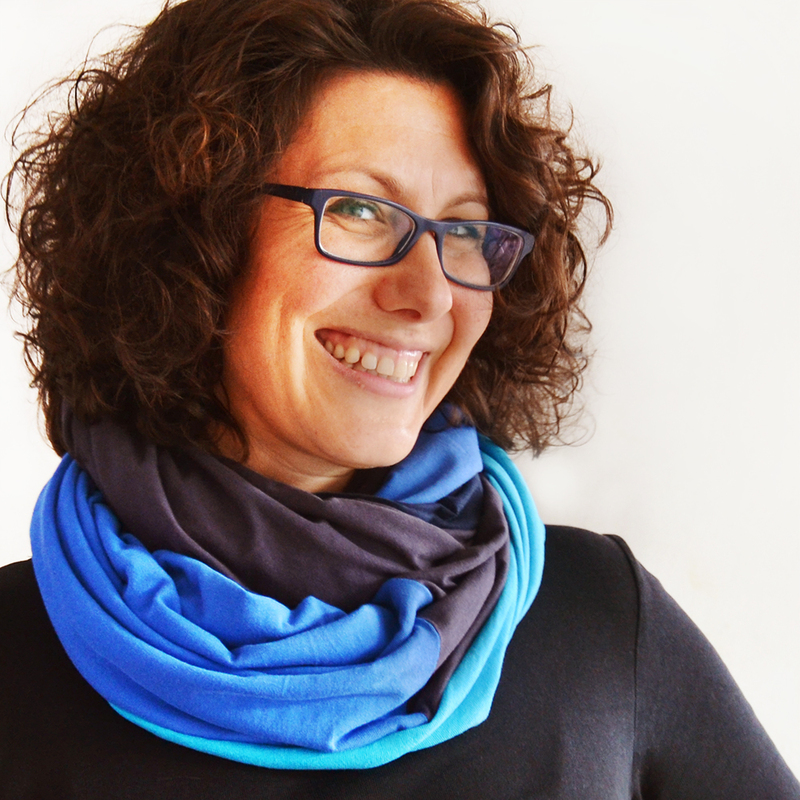 I love the challenge of figuring out how incorporate the original design, shape and fabric into something new. 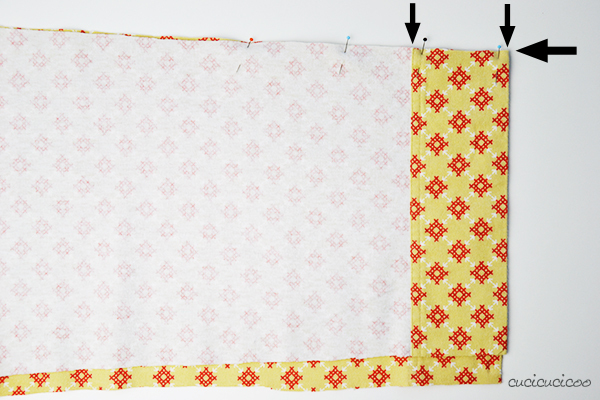 One way that I frequently do this is by reusing the hems from the original sewn product. I don’t really love hemming, probably because I really dislike ironing. So if I can get away with using a pre-sewn hem so that I don’t have to do it myself, I’m always thrilled! 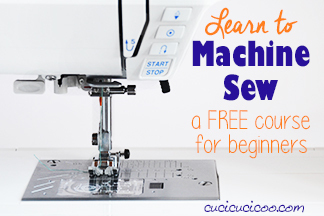 Are you ready to save time in your sewing? 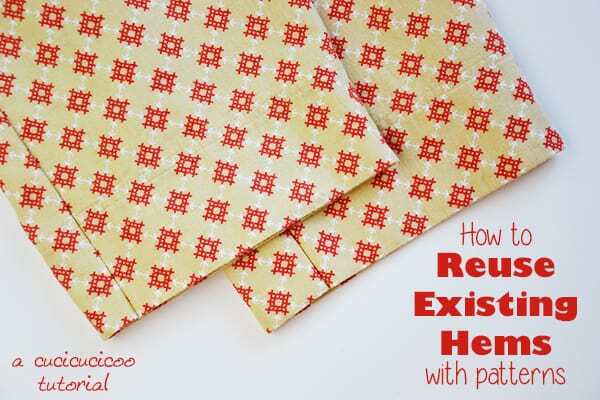 Then continue reading on to find out how to reuse existing hems when sewing from a sewing pattern! First, get your pattern ready. In this post I am using a lengthened version of my Evening Primrose Pajama Pants for women pattern (see how to lengthen or shorten a sewing pattern here). Then read the instructions to find out how much you have to fold the bottoms of the legs (or torso or sleeves, or whatever else) for the hem. 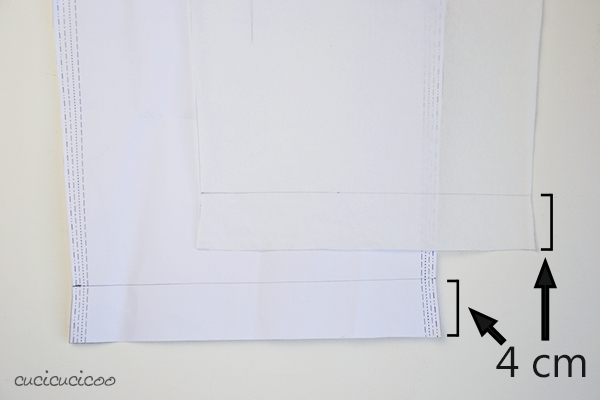 For the Oenothera pants you fold the bottom up 1 cm, then another 3 cm, so a total of 4 cm. 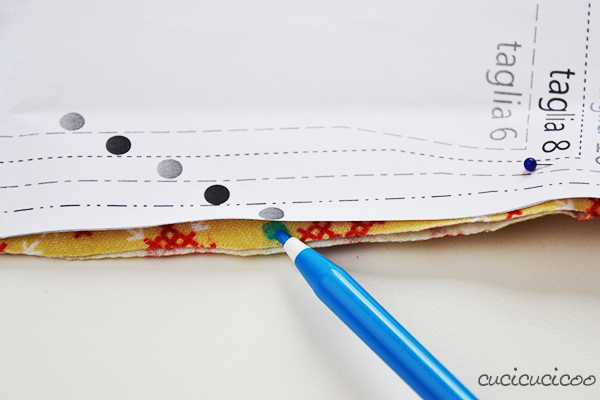 Draw a line on your pattern parallel to and that distance away from the bottom. 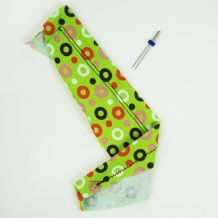 This indicates where the bottom of the sewn item will be. In the picture above, you can see that my lines are 4 cm above the pattern bottom. 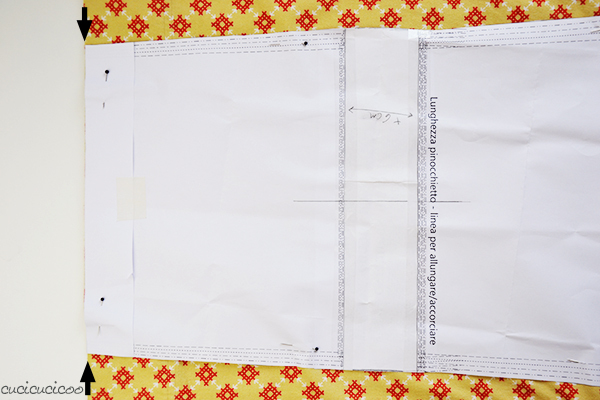 If the item you are going to sew is tapered, and therefore doesn’t have perpendicular lines at the bottom, this line will be positioned along a sort of indentation. 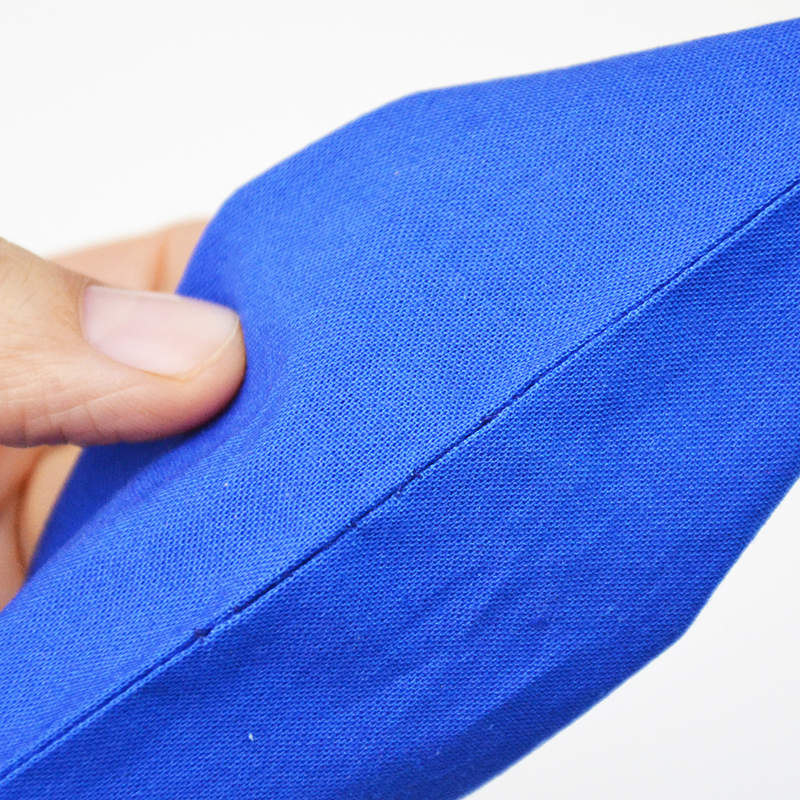 This is because the hem allowance mirrors the shape so as to allow the fabric to be folded up better. 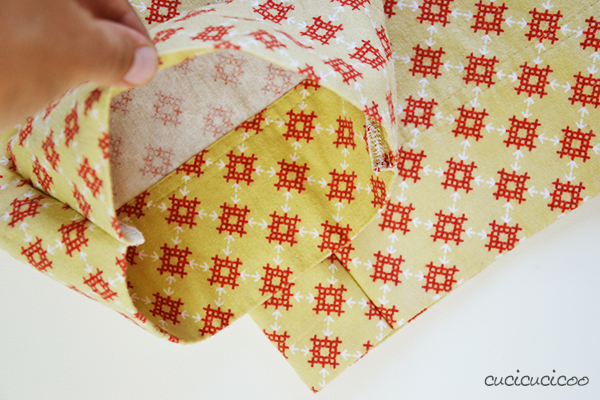 Fold the pattern along that line, either to the front or to the back. Tape it in place if it won’t stay folded well. 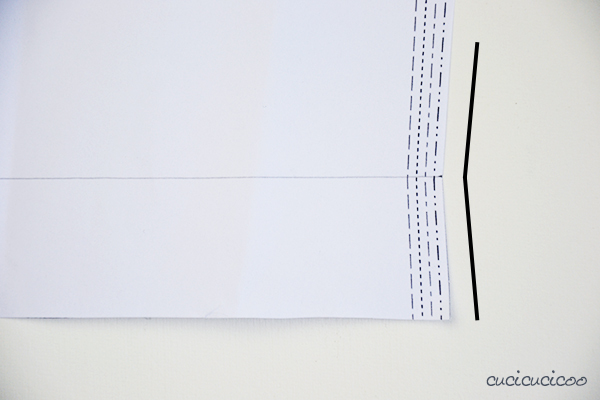 If you are using a pattern on a paper that you can see through, like tissue paper, you don’t need to fold along the line. 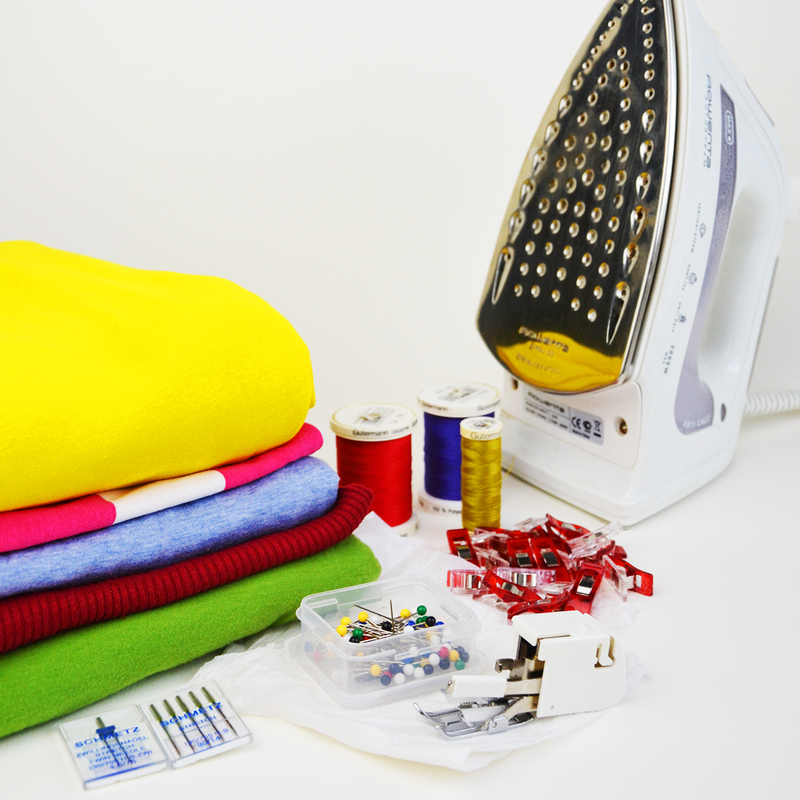 Iron your fabric well. In this case I am using a snuggly thrifted flannel bedsheet with a nice wide hem. 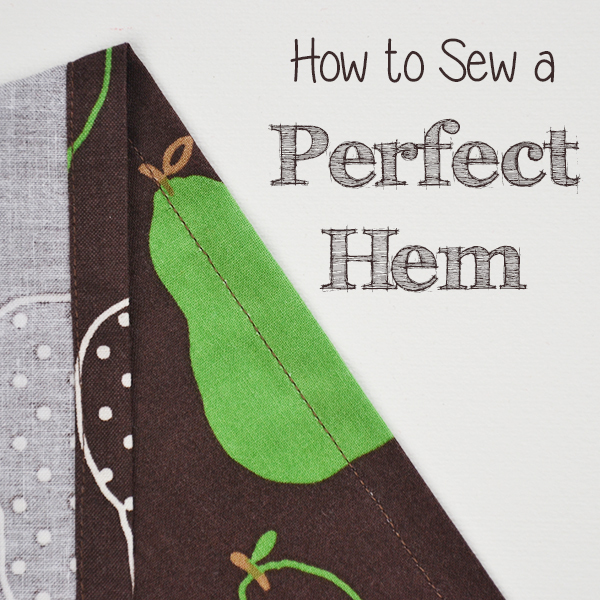 If you need to cut more than one of the pattern piece and you’d like to do so by cutting on folded fabric, take a few minutes to perfectly line up the hem of each layer. 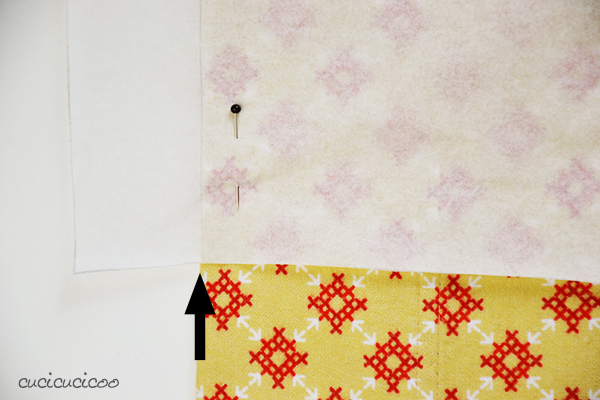 In the picture above, I marked the existing hem stitching with a black dotted line, just to show it better. The edges I needed to line up are marked by the vertical arrows. I did my best to line up the other edge, too (marked by the horizontal arrows), but what’s absolutely essential is to line up the edges with the hems. Then pin the edges to keep them in position. Here’s a close-up. See how the edges on the left are perfectly lined up, while the edges at the top are not? I didn’t really care about those second ones, so that’s fine. 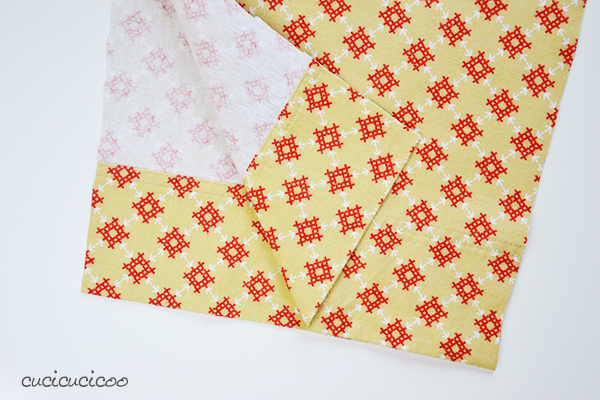 Now lay the pattern piece on the fabric so that the folded edge of the pattern lines up perfectly with the hemmed edge of the fabric. Pin it in place. 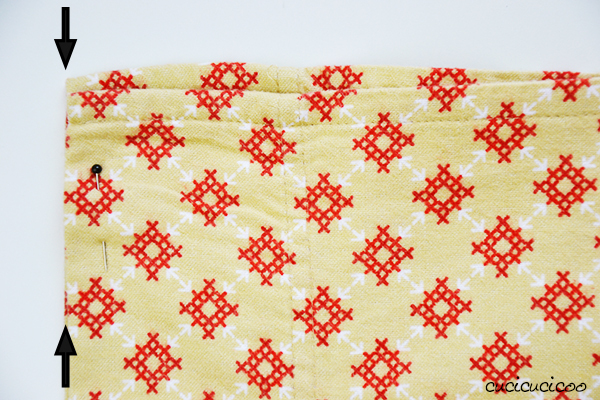 Another close-up to show how the pattern and hemmed fabric edge line up. 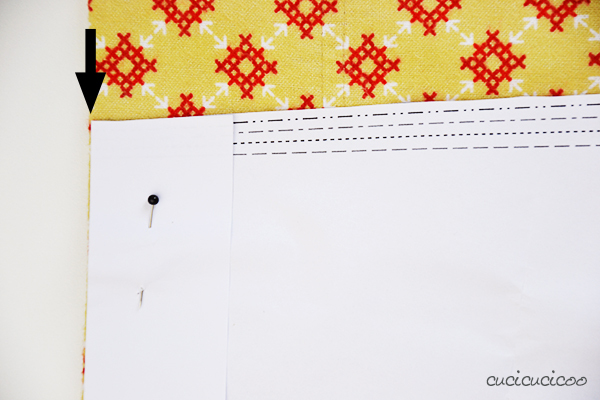 If you are using a pattern on transparent paper, you can simply position the drawn line along the hemmed fabric edge. Then pin in place. 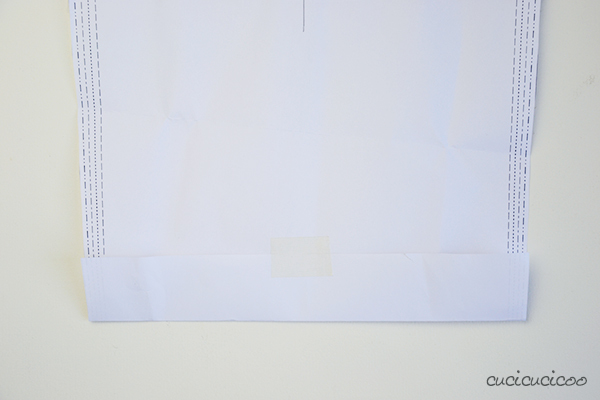 As you can see above, you can see right through the paper to check that it is indeed lined up perfectly along the fabric edge. 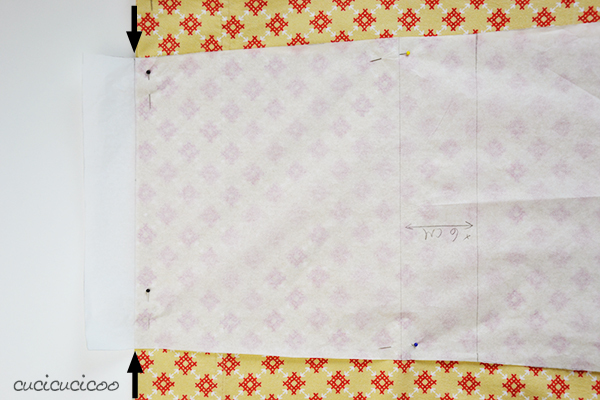 After you’ve cut out the fabric and remove the pins, you’ll see that your fabric pieces are already hemmed! Yah! 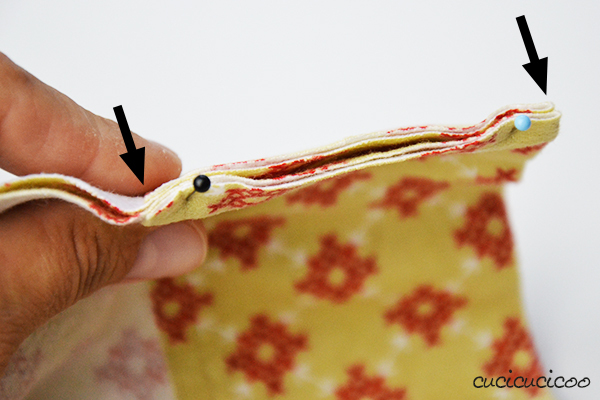 When sewing fabric prepared in this way, you want to make sure to sew the hem edges together PERFECTLY, otherwise it will not look that nice. 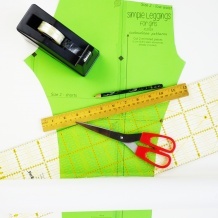 To do this, you need to start pinning them together and sewing them starting from the hems so that they will line up just right. In the picture above you can see how I lined up the bottom of the hem, the original hem stitching and the long edge of the leg. Notice how the hems are lined up perfectly. 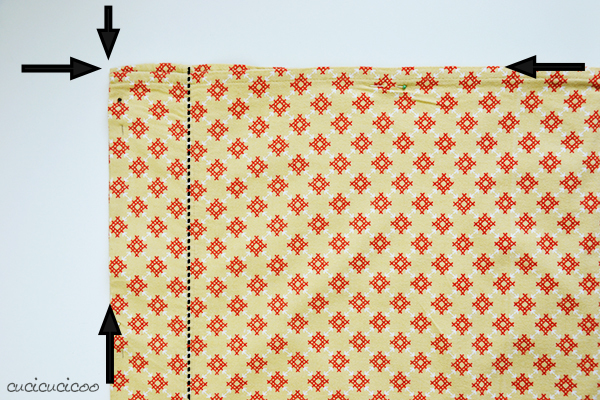 After you’ve sewn the pieces together, you’ll see how your item looks like it’s already been hemmed! The one downside to this technique is that the inside of the hem doesn’t look as nice as a regularly sewn hem, and the side seams are more noticeable. However this second downside could easily be improved by ironing the seam allowance to one side and perhaps even stitching it down. I didn’t do that because, like I said before, I really dislike ironing. But look at those nice hems that I didn’t even sew myself! 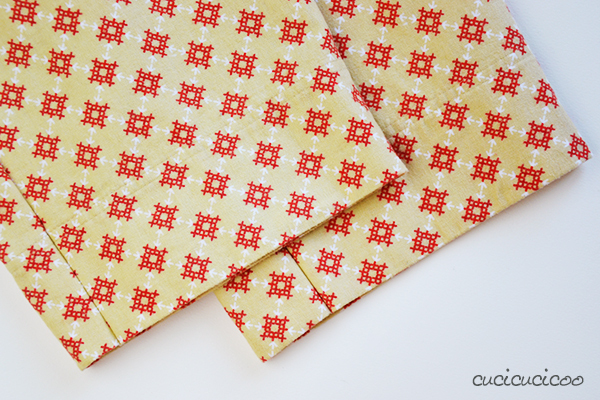 I always love saving time and fabric, and this is a way to do both. And sometimes you’ll have an original item with a very special hem, with embroidery or a scalloped shape or something, and it’s great to be able to reuse those design elements in your sewn item! And it’s really easy to cut out the pieces for children’s clothing from adult-sized t-shirts or other garments, reusing the hems! So what are you waiting for? 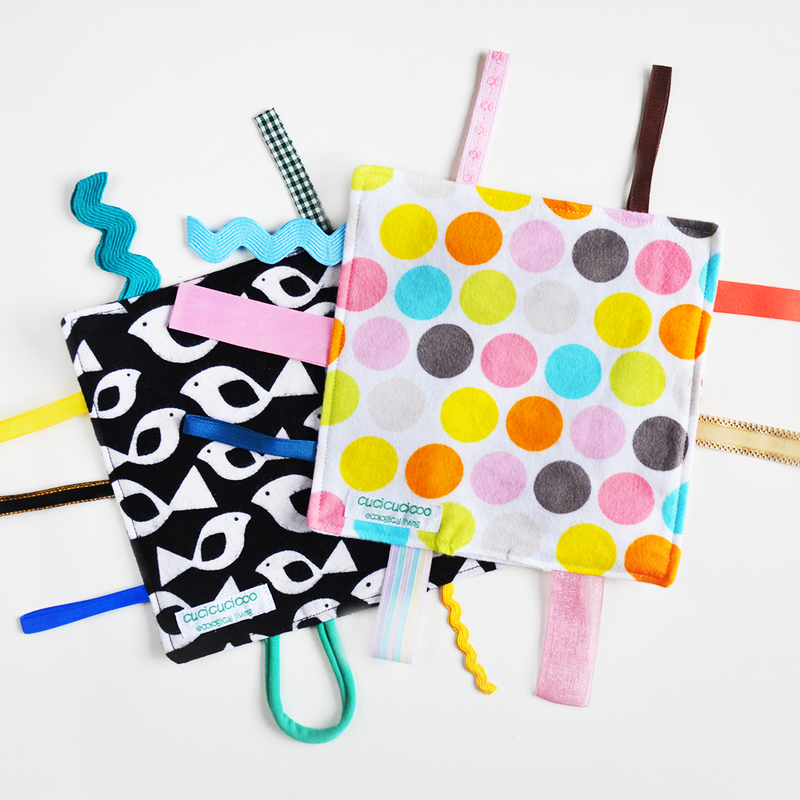 Take out a pattern, find yourself some sewn fabric items in your home that you don’t need anymore, and cut your pattern out of it! 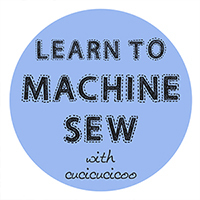 This lesson on how to reuse existing hems with a sewing pattern is extra content in the Cucicucicoo beginner’s sewing course! Don’t forget to share pictures of your work on the Cucicucicoo Creations Flickr Group or the Cucicucicoo Facebook page! 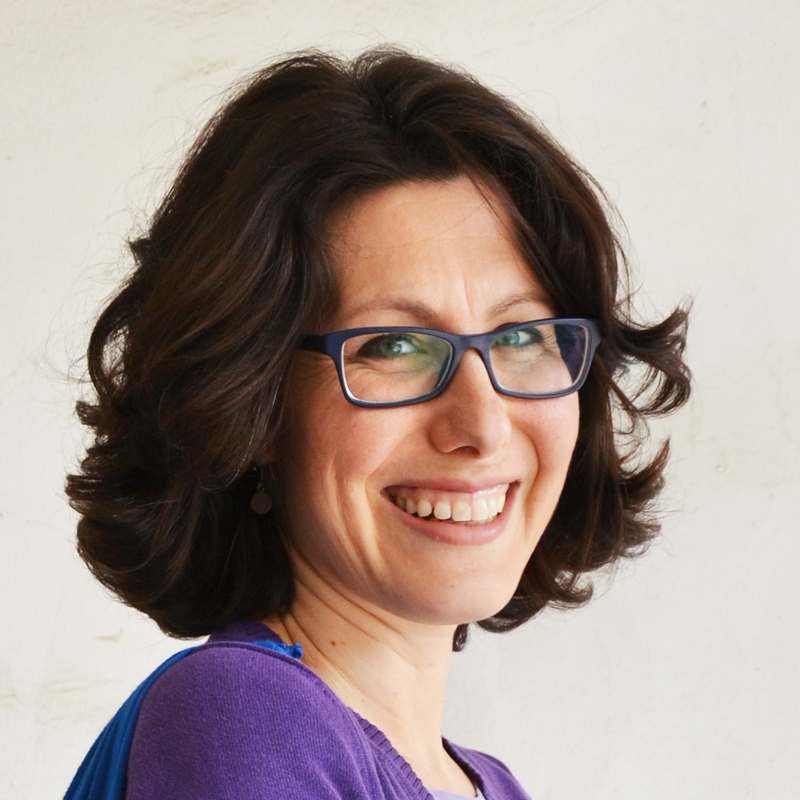 Mi verrebbe davvero utile ma la spiegazione è articolata in modo complesso a me personalmente risulta poco chiara cervellotica. Così le foto. Comunque grazie. Saluti. 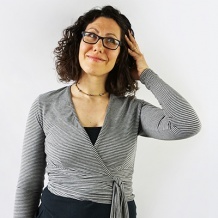 Ciao, Heidy, quale parte ti sembra complesso o poco chiaro? Così cerco di spiegartelo meglio! È vero, Carmen, che ci metto molto impegno in questi tutorial, quindi sono proprio contenta quando sono utili ai miei lettori! Fammi vedere, poi, quello che fai se usi questa tecnica!